Chandrakant Nayak, popularly Known as Bubun is one of the New Odia Singer in the Odia Music Industry and have done well in his primary career in Odia Album Industry. If you want to get his Profile information or Biography, then just follow this article to get his Biography and Profile. 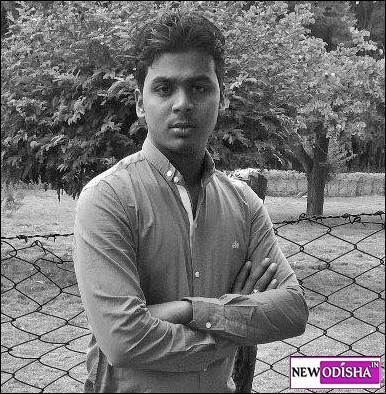 Bubun was born on 14th April 1988 in Bari Village of Jajpur District. From his childhood he has a lot interest in Music. So from the year 2006 to 2007 he has acted in 22 to 25 Odia Albums. Due to some of his personal problem he has to quit that line. But due to his interest in music, he was singing a lot of songs in his village programs. On 13th January 2014, there was a song competition held in his High School and he was come first in that competition. From that day he got chance in singing in some Melody parties. In the year 2015 He got a chance to sing a Odia Album Song “Baba Haleile tanka Chamara” lyrics by Gurudatta Nayak and Music by S.Chandrakant. This two persons Gurudatta Nayak and S.Chandrakant helped him much to enter in this Odia Album Industry. Now he has already sang 6 Album Songs till date. New Odisha wishes him for his Career in this Odia Album Industry. Give Responses for "Chandrakant Nayak (Bubun) – Odia Singer Profile and Biography"